Decaf Green Tea powder contains less than 1% caffeine. It conveniently dissolves immediately in hot water with light stirring, and has a full body yet smooth (slightly sweet) taste with no vegetal flavor. 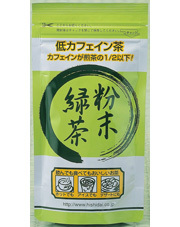 Decaf Green Tea powder is packed in a re-sealable foil package to maintain freshness. 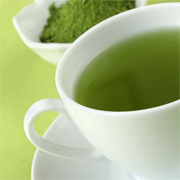 It will surely please those who desire fine green tea taste and reduced caffeine.